Motion pictures also became a popular form of entertainment. In 1912 there were two theatres and four other locations showing motion pictures in East Liverpool. The Ceramic Theatre offered first-run plays and the American Theatre provided vaudeville entertainment. The local truant officer said in March of 1912 that the moving picture shows were " . . . causing more delinquency among school children than most any other agency." 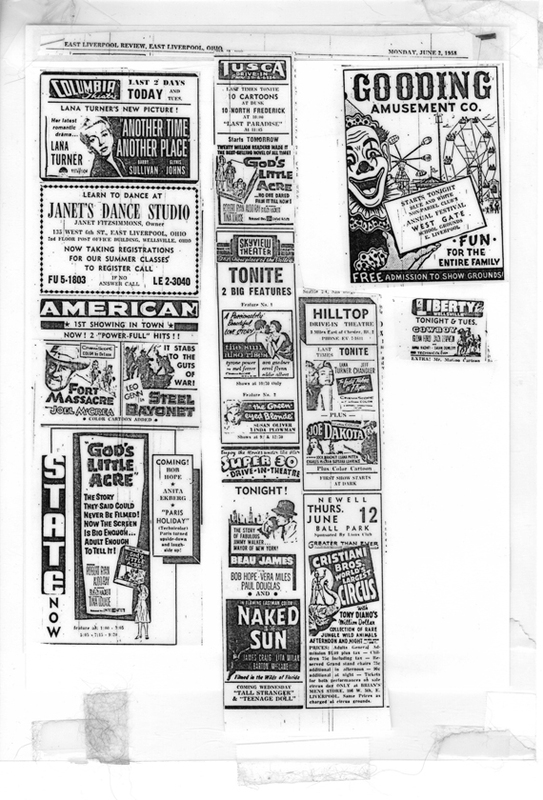 Although the American Theatre continued to sponsor vaudeville shows and the Ceramic sponsored spectacular stage shows and appearances by performers like Will Rogers, both theatres also showed movies. In 1912 the Ceramic Theatre installed a movie screen and an electric sign which read "Show" or "Picture" according to the evening's entertainment. 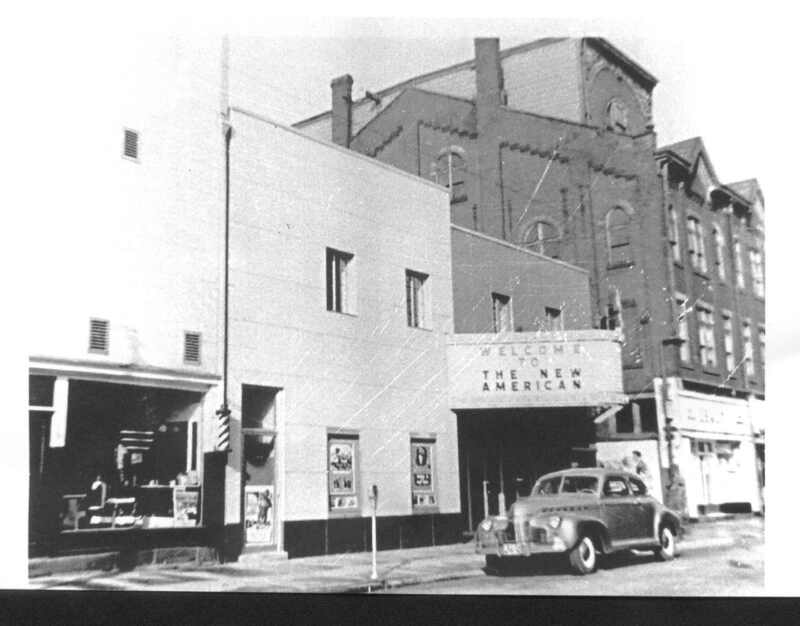 The following year "~dison Talking Pictures" were introduced to East Liverpool at the Ceramic Theatre. Other theatres soon followed its lead. 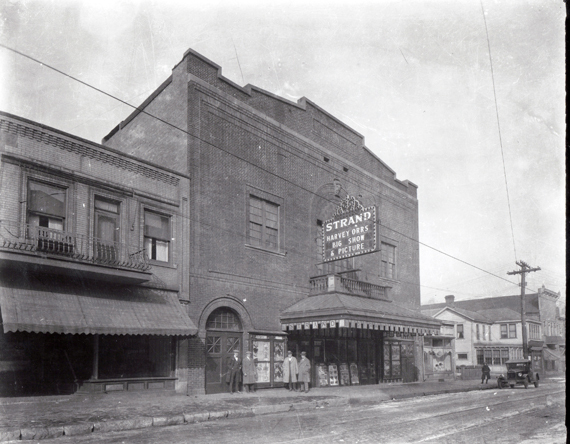 The McKinley Vaudeville Theatre, which opened in December of 1914, was changed to the Strand and began to show silent movies ten months later. The Gem Theatre opened on Mulberry Street in the east end by 1916. 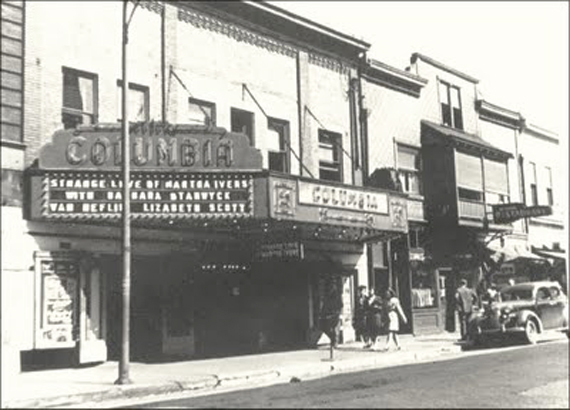 Thousands went to the movie houses to see D.W. Griffith's "colossal spectacle" The Birth of a Nation in 1917, The Kaiser - The Beast of Berlin in 1918, Lillian Gish in Way Down East, and Cecil B. DeMille's Ten Commandments in 1924. By 1927 the "Crockery City" contained four movie theatres (Ceramic, American, Strand, Columbia) with a combined capacity of 3,559 seats. In May of 1928 the Ceramic Theatre installed a new Vitaphone, which synchronized voice and music with the action of a motion picture; it was considered the "marvel of the 20th Century." The C~ramic presented Al Jolson in The Jazz Singer and thus inaugurated "talkies" in East Liverpool. There were river boat cruises. At one time there were seaplanes docked on the Ohio River and you could, if you had a pilot's license, take a plane up for a short flight over the Tri-State area. If you didn't have a pilot's license, the regular pilots would fly the plane for you. 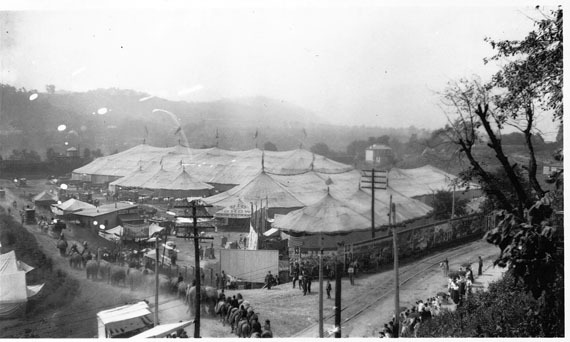 East Liverpool was a stopping point for carnivals as well as circuses, including at least one time the "Barnum & Bailey/Ringling Bros Greastest Show on Earth" circus, which set up in Calcutta. Once the concrete stadium was bult at Patterson Field in the 30s, East Liverpool could boast of having one of the largest and best high school football stadiums in the area. That combined with the Memorial Auditorum, built in the 40s, provided modern facilities for some pretty successful high school football and basketball games for much of the later 20th century. Semi-pro baseball was a very popular sport in the East Liverpool area at the end of the 19th century and into the 20th century. 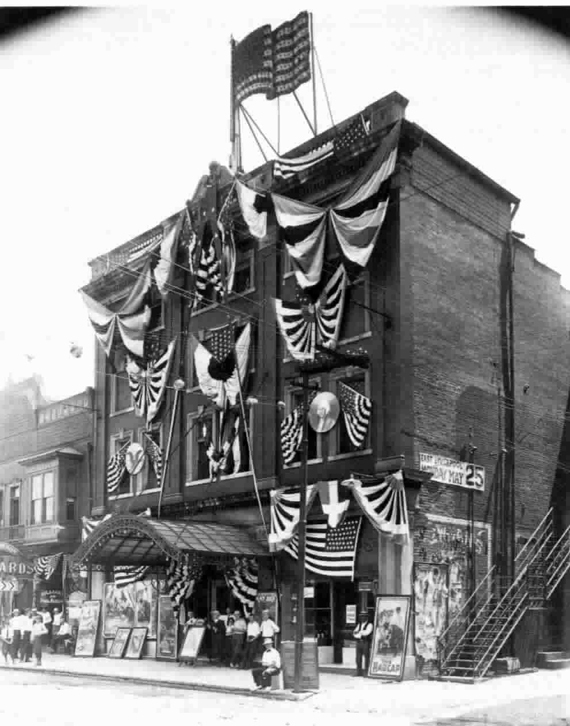 The American Theater in 1914. The "new" American replaced the one in the first picture above which had a fire and suffered extensive damage 1n 1950. Across the alley from the "new" American Theater in the picture above you can see the Grand Opera House. The first floor of that building at this point in time is Isaly's (Bricker's) and beside it is the Outdoor Army and Navy Store. After the Diamond Fire of 1968 the top floors were removed as a result of fire, water, smoke damage. 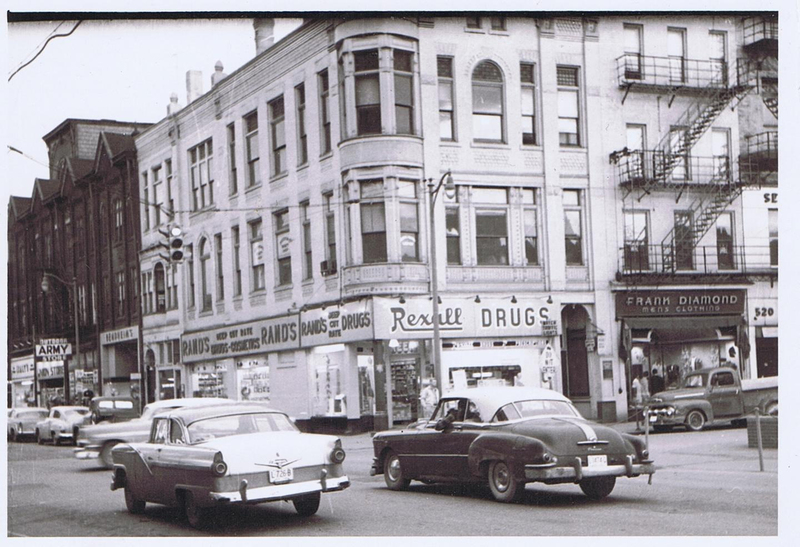 Here is another view of the Grand Opera House from the opposite direction around 1955. In the above picture it is the last building at the far left of the picture. 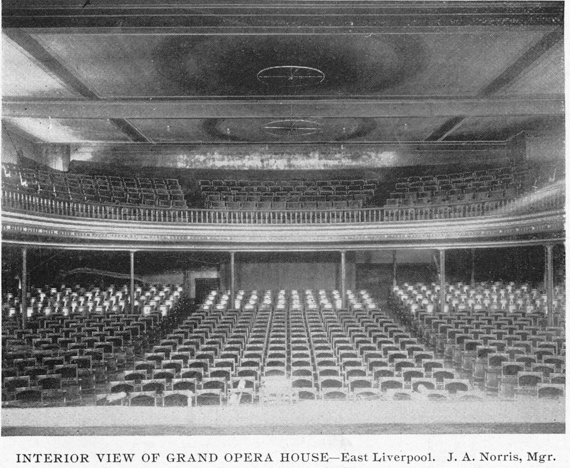 Interior of the Grand Opera House. Interior Picture from the Booklet: East Liverpool Ohio, The Pottery Center of America, 1799-1899. 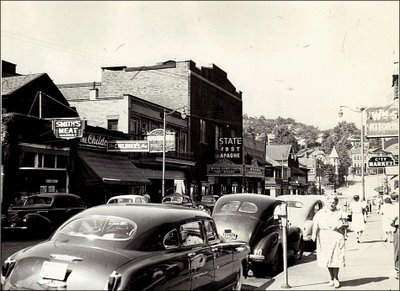 In addition to these outdoor facilities, East Liverpool had an abundance of indoor entertainment. In August of 1893 a third opera house, the Grand, was opened in the "Crockery City." Like its competitors, the new "house" offered patrons a variety of dramatic, comic, and musical plays. The opening of the Grand Opera House, featuring the noted actor Thomas Keane performing Richard III, was attended by Governor William McKinley as a guest of Mr. and Mrs. John N. Taylor. Before the performance, McKinley praised the city on its fine new opera house. For the next five years the Grand offered residents a rich variety of plays; in May of 1898 it was converted to a theatre for minstrel and vaudeville shows. In 1905 it was remodeled into a roller skating rink. On 21 November 1904 the Ceramic Theatre on Fourth Street was opened to the public with a presentation of "Wang" starring DeWolf Hopper and a cast of seventy supporting performers. The opening was considered a "brilliant social affair." The new theatre, which was the second largest in Ohio, had a seating capacity of two thousand and was rated as one of the finest between New York and Chicago. It consistently attracted some of the best "shows" in the nation and many of the period's most successful plays originated at the Ceramic Theatre. The interior of the $150,000 theatre was considered "elegant" and the "acoustics were perfect." The fact that both the Grand Opera House and the Ceramic Theatre were eventually converted to more mundane purposes was a sign of the times and reflects the movement toward a mass technological culture. Other evidence of the shift to new forms of entertainment because of new technology is provided by the fact that many other theatres were constructed for strictly vaudeville performances and moving picture shows. 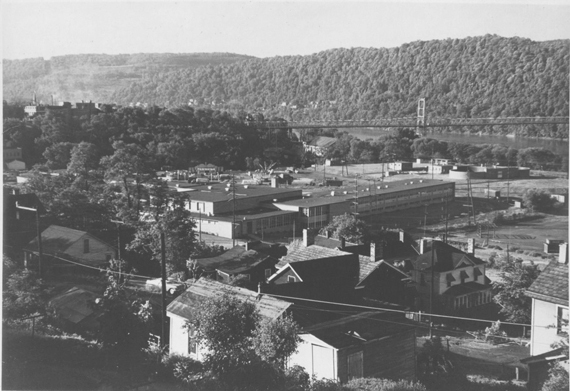 SOURCE: The City of Hills and Kilns, Life and Work in East Liverpool, Ohio. William C. Gates, Jr. East Liverpool Historical Society, (1985) page 245. 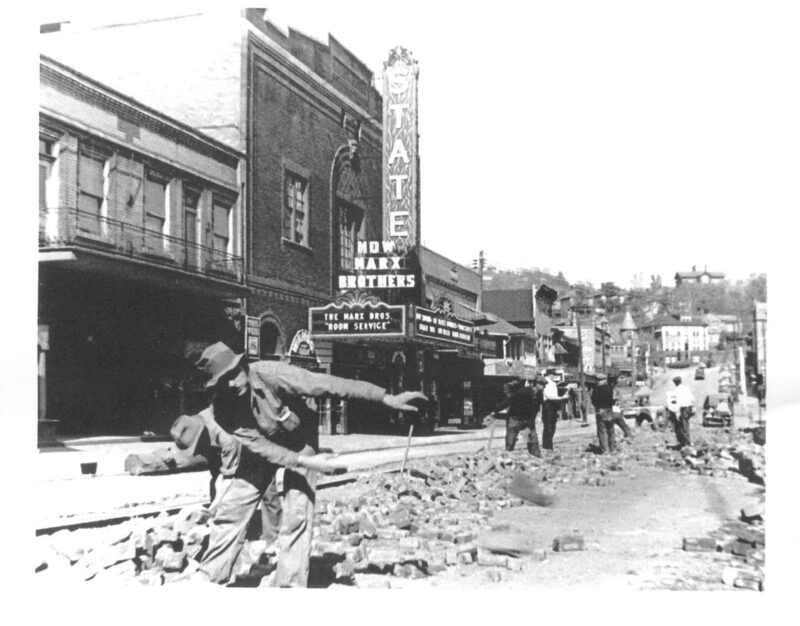 Before it was the State Theater it was the Strand Theater. Many thanks to Frank Dawson for allowing us to scan and post this picture here. Marx Brothers "Room Service" was a 1938 movie. This photograph was probably in 1938 or 1939. Throughout the 1950s the first week of June, the week school let out, The Gooding Amusement Company would set up one of its carnivals in the west end of East Liverpool. If you look real close in the back of this photograph you can see where they are setting up the Carnival. It is quite possible that this photograph was taken Sunday June 1, 1958 as they appear to be setting up the carnival. 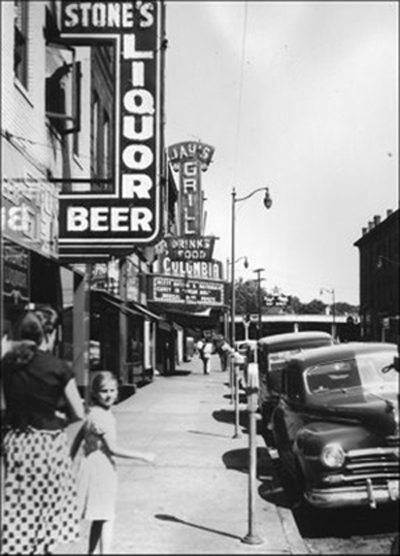 There were times during the 50s when there was a street Carnival set up on East 4th Street in front of the Central Building of the Old High School "complex" and Broadway between East 4th and East 5th Streets. That's the same area where the Pottery Festival now sets up. Circus time in the West End. Sells Circus. Columbian Park in the East End offered horse racing, track meets at times as well as a circus or two. During the early to mid century, there was Rock Springs Park, which will be covered in a coming article.